If you love all four of our Classic Scent soy candle series you will be happy to know we offer a four pack set. Great as a gift or make it a keeper! 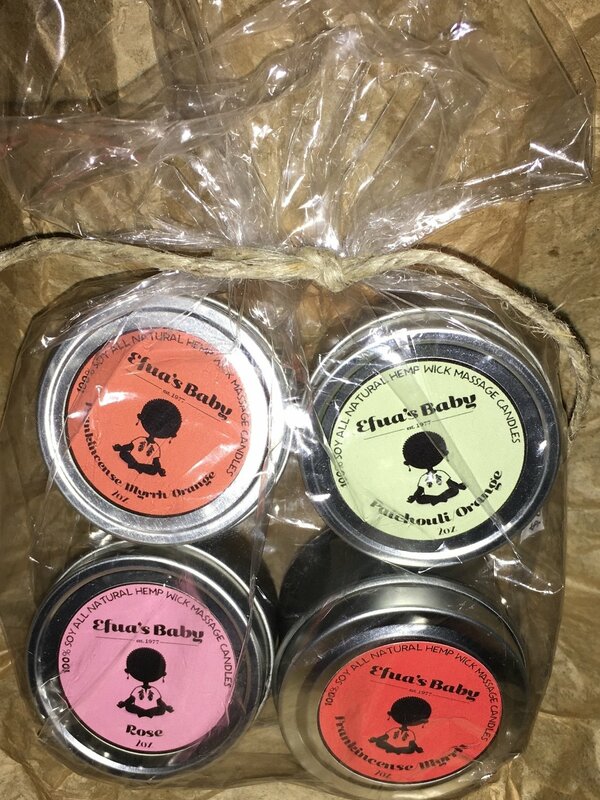 This 4 Scent soy candle set features our four classic scents; Frankincense/Myrrh/, Frankincense/Myrrh/Orange, Patchouli/Orange and Rose in an adorable 2oz tin you could take anywhere! Try burning all of them at once, you’ll love it!